If you want to test your long-range shooting skills against some of the best shooters in the country (including our own Jason Baney), head to Pennsylvania in two weeks for the Williamsport World Open. Shooters will compete in Light Gun and Heavy Gun classes for a host of prizes including scopes, actions, and barrels. Sponsors include Nightforce Scopes, BAT Machine, and Bartlein, Hart, and Krieger barrel-makers, among many others. In addition, the Original Pennsylvania 1000 Yard Club will give $1000.00 CASH to anyone breaking the 3.151″ Ten (10) Shot Heavy Benchrest Class World Record during this event. Also for 2007, this will apply as well to anyone breaking the 3.835″ Light Gun group record. Last year Jason won the Heavy Gun championship shooting his 16-lb 6BR with Reloader 15 and Clinch River 106s. That was an amazing accomplishment considering he was competing against 60- and 70-pound guns driving ultra-high BC bullets with “big boomer” cartridges. The schedule of events will be: Saturday Morning – Light Gun Match One; Saturday Afternoon – Heavy Gun Match One; Sunday Morning – Heavy Gun Match Two; Sunday Afternoon – Light Gun Match Two. Complete Event info, including Course of Fire, Rules, and a list of nearby motels, is found on the World Open Webpage, or contact Matt Dienes, 724-479-0790. Share the post "Williamsport 1000-Yard World Open July 14-15"
If you have ever done much action pistol shooting at close range on steel targets, you’ll know about the hazards of ricochets and bullet splashback. That’s why you should only shoot low-velocity rounds with soft lead or frangible bullets when shooting at relatively close range. In this video a rather ignorant (yet lucky) fellow demonstrates what NOT to do with a large-caliber rifle (a 50 BMG apparently). He shoots at a steel target about 70 yards away and a bullet fragment comes back directly at him. He was lucky enough that the ricochet just smacked his left ear muff. Another inch to the right and he could have lost his eye… or worse. The video should be self-starting if you have the Flash plug-in. Lesson learned–never underestimate the destructive power of rifle-launched projectiles. What appears a “safe distance” from steel may actually be well within the danger zone. Share the post "Ricochet Danger Shown in Video"
This deal is almost too good to be true. 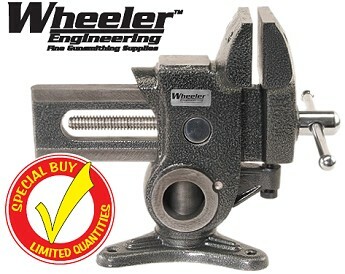 MidwayUSA is currently offering its Wheeler Engineering Rotating Shop Vise (item 666-974) for just thirty bucks even ($30.00). That’s $39.99 off the regular $69.99. This unit has a rotating head that can turn 360°, then lock in place with a built-in clamp. 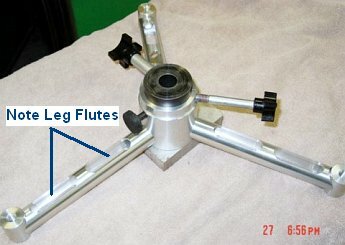 It mirrors the design of the $249.97 “Multi-Vise” sold by Brownells.com. Note, with this design the head only rotates. It does not tilt or swivel. But it’s still way more vesatile than a conventional shop vise and it does pretty much anything the green $250 Multi-vise (photo right) will do at less than 1/8th the price. If you need a swiveling vise for your loading bench, here’s your opportunity. 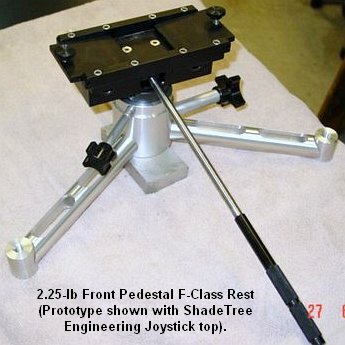 The cast iron Wheeler vise weighs 18 pounds and has 3-1/2″ jaws that open to 4-3/4″. Share the post "Shop Vise Now at Huge Savings"
Share the post "New Lightweight Front Rest for F-Class"
With the relentless pursuit of more velocity and the “next higher node” by many reloaders, it is important to pause and think about safety. 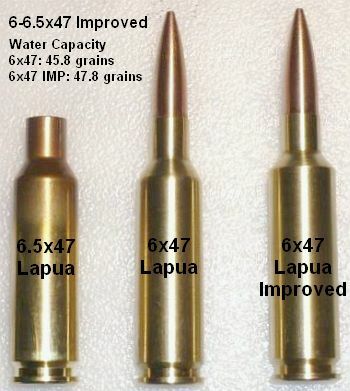 And one has to remember that most brass will not hold up to high pressure the way Lapua or RWS does. 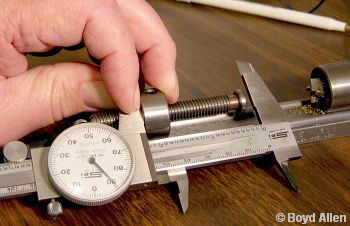 Many readers have asked us–“How does one detect excess pressures.” Well first, one can obviously monitor the primer pockets and measure the diameter of the case near the web–excessive stretch or pocket loosening is a sure sign you’re running too hot. There are also many visual signs of over-pressure which you can see. Reader ScottyS provided this comparison photo of cases, showing the tell-tale signs of over-pressure. Scotty tells us: “These samples were from a lot of Federal soft-point hunting ammunition that were fired in a custom .308 with a chamber on the tight side (although still allowing a .308 Winchester ‘GO’ gauge). Among the pressure symptoms were heavy recoil, sticky bolt lift, and the left case had to be manually removed from the boltface. This demonstrates why: 1) you should never assume that all lots of factory ammo are the same (and safe); and 2) you should ALWAYS wear eye protection. This also shows how high pressure can spike once you approach maximum load levels.” Scotty noted that there was a big pressure difference between the left case and the right case, although both were from the same lot of ammo. So take heed–always take precautions when testing new ammo, even if it is factory-loaded. Share the post "Detecting Excessive Pressure in Cases"
Gun Marketing: Is the Latest Always the Greatest? “Of all sorts of possessions, the personal firearm is the most nearly unique. This is because of its permanence….This makes the marketing of firearms a frustrating enterprise. Cooper’s words are worth considering. 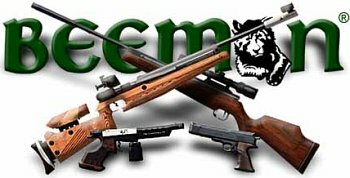 Readers of this website do like to learn about new products, and new rifles. But at the same time, we should not forget the value of classic designs that have stood the test of time. So if you have a great older rifle–shoot it, don’t sell it. Share the post "Gun Marketing: Is the Latest Always the Greatest?" 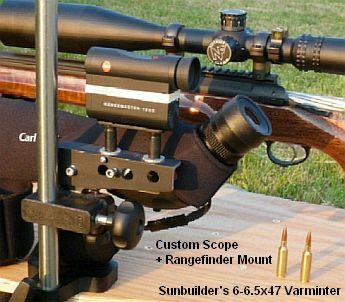 Share the post "More "Long Dasher" Info (6-6.5×47 Lapua Improved)"
In order to get exact dimensions for custom dies, and to monitor changes in the throat of your rifle, you may want to make a chamber cast. With such casts you can determine the exact dimensions of your chamber, throat, and bore (including land/groove diameters). Most chamber casts are made with Cerrosafe, a very unique compound that is ideal for the job. 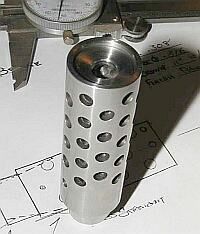 To cast a chamber, Cerrosafe is poured into the chamber and the first part of the throat. As it hardens it actually shrinks, allowing you to remove the cast from your barreled action. But, then what good is an undersized cast? Well, that is the magic of Cerrosafe. As it goes into its final hardening process, it “grows” back to the true bore/chamber dimensions. Brownell’s explains: “Cerrosafe shrinks during the first 30 minutes of cooling and then at the end of an hour, is EXACTLY chamber size. Cerrosafe melts between 158°-190° F.” To learn more about chamber casting with Cerrosafe, Click here for Gun collector Mark Trope’s illustrated guide to chamber casting, found on SurplusRifle.com. MidwayUSA has 1/2-pound bars of Cerrosafe Casting Alloy on sale for just $9.99, through the end of July. That’s $8.00 off the normal $17.99 price–quite a deal. As long as you keep the alloy free of contaminents the Cerrosafe can be re-used many times, though we advise you keep your chamber cast as a reference as long as you own the rifle. Share the post "Cerrosafe Casting Material On Sale"
Asa Yam, Asst. 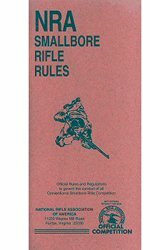 Moderator of the excellent forum Long-Range.com, let us know that the new NRA Rulebooks are now online. Asa added: “Well, all but two, and they’re forthcoming.” Here is a link to the general Rulebook webpage. For the High Power Rules (which cover F-Class), Click HERE to download a .pdf file with the index page. Within that .pdf file are hyperlinks that take you to the individual chapters. 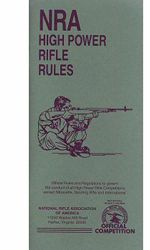 If you wish to purchase hard copies of the Rule Books, they are available from the NRA Program Materials Center, for $2.50 per copy. 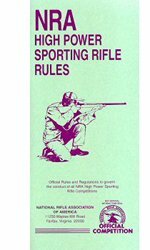 The High Power Rifle Rulebook is item CH 16420. 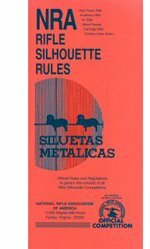 Share the post "New NRA Rulebooks Available Online"
Late Breaking story–Today Frank Brownell confirmed that Brownell’s is acquiring the business and all the assets of Sinclair International, one of the leading vendors for the precision shooting market. More than a catalog and online retailer, Sinclair designs and manufactures many of its own specialty reloading products. Sinclair Int’l will function as a separate entity of Brownells, and Bill Gravatt will continue as the President of Sinclair Int’l. Sinclair will maintain its facilities and operations in Indiana, and will continue to sell its full product line as a Brownells-owned enterprise. Brownells, the World’s Largest Supplier of Firearms Accessories and Gunsmithing Tools, is extremely pleased and proud to announce the acquisition of Sinclair International, Inc. Sinclair International is one of the most respected manufacturers and suppliers of high quality reloading tools and shooting accessories in the world. Sinclair International, located in Indiana, is in its 22nd year and provides products to customers around the world. Brownells, operating out of Iowa, is in its 68th year and also supplies customers world-wide. Share the post "Brownell's Acquires Sinclair International"
Well folks, we don’t have to be shy about being shooting enthusiasts–you can join the crowd. A recent 3-year study shows shooting sports, including handgun, rifle, and shotgun disciplines, are more popular than many other highly advertised and promoted outdoor sports. The National Shooting Sports Foundation (NSSF) commissioned a long-term study by American Sports Data (ASD), a consumer research firm for the sporting goods, fitness and health club industries. Statistics gathered over the past three years show that target shooting–with rifle, handgun and shotgun–is actually more popular than many pastimes historically considered mainstays of warm-season recreation. In fact, participation in shooting sports tops tennis, softball, jet skiing, water skiing, mountain biking, most team sports and virtually all of the technical sports like rock climbing and kayaking, according to the most recent numbers from ASD. ASD has tracked rifle and shotgun shooting participation for many years, and began tracking handgun target shooting in 2003. ASD research shows more than 18 million Americans enjoy the shooting sports. In a 2006 survey commissioned by NSSF, 17 percent of Americans, or about 50 million people, said they had been shooting with a rifle in the past two years. Fifteen percent went target shooting with a handgun and eight percent with a shotgun. In overall numbers, California is No. 1 with over 2.1 million shooters, including the most rifle, handgun and shotgun shooters of any state. Texas, Pennsylvania, New York and Ohio follow. Per capita, ASD shows Idaho as the most avid shooting state (18 of every 100 people participate), followed by Utah, Wyoming, Montana and Arkansas. For more info on the ASD survey, visit the NSSF web site, huntandshoot.org. 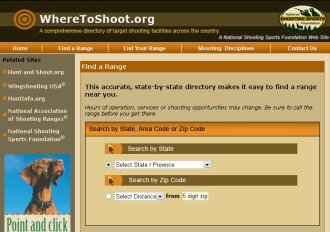 The NSSF also offers an interactive database showing shooting ranges and clubs nationwide (See AccurateShooter Bulletin, March 18, 2007). Share the post "Shooting Sports More Popular Than Tennis, Softball, and Mountain Biking"
As of 11:00 am June 25, the folks at R.W. Hart report they have more Vihtavuori N133 powder in stock. Currently Hart has Eight 8-lb jugs ($149.99 per jug), and a couple dozen one-pound ($23.99/lb) containers. The N133 powder arrived 5 days ago and is going fast. If you are in dire need of Vihtavuori N-133, give Hart’s a call at 1-800-368-3656. Act quickly. Hart’s expects this to sell out right away. Share the post "Vihtavuori N133 in Stock at R.W. 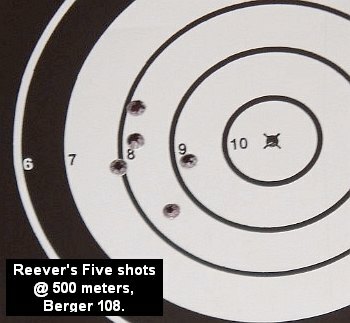 Hart"
Share the post "Reever Wins Match with New 108gr Bergers"
From July 23-27, the NRA will be hosting its 22nd Annual NRA Youth Hunter Education Challenge (YHEC) at the Whittington Center, in Raton, NM. The cost is $425 for each team of youth participant and adult coach. Recognized as the most comprehensive youth hunting program in North America, the Youth Hunter Education Challenge (YHEC) offers outdoor skills and safety training for young hunters. 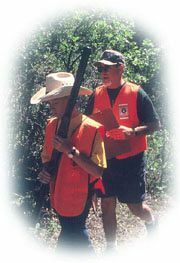 Open to those who have completed hunter-safety training at the state-level, the program is conducted under simulated hunting conditions to provide the best practical environment for reinforcing and testing a young hunter’s skills. From rifle, bow and muzzleloader shooting at life-sized targets, to wildlife identification, to map-and-compass orienteering and more, YHEC participants get hands-on training in eight skills areas, and all types of game. State- and provincial-level YHEC programs, hosted by volunteer instructors, draw an estimated 50,000 youths each year. Top ranked individuals advance to the annual NRA International Youth Hunter Education Challenge, the pinnacle of the program. Since its inception in 1985, YHEC has reached more than a million young sportsmen and women. For Youth Hunter Education Challenge info call NRA Hunter Services at (703) 267-1503 or vist the NRA’s Website. Here’s a link for the YHEC official rules pamphlet. Share the post "Youth Hunter Challenge in Raton"
We love the recoil reduction we get from muzzle brakes, but we don’t like the added noise and blast. And we’d rather not blow dust and dirt at our neighbors on the firing line. Chris Spera (Cowpuncher) of CP Muzzlebrakes has the answer to that–a brake that can be “turned off” with a simple twist of the brake housing. When the ports on the sleeve are aligned with the ports on inner section tube it works like any other muzzle brake. When the outer sleeve is turned 36°, this blocks the ports on the tube. That shuts off the brake, dramatically reducing the noise/blast it produces. 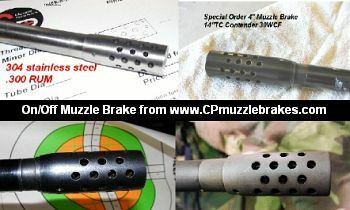 CP Muzzlebrakes offers an unique and very precisely-machined product. Each brake is custom-fitted to the rifle, and Chris builds both straight and tapered versions, for $180.00 (blued or black finish). Stainless brakes, either straight or tapered, are $220.00. Share the post "CP Convertible ON/OFF Muzzle Brake"
Do you have a Wilson case trimmer but can’t afford the $84.00 to add the handy Micrometer upgrade (Sinclair Int’l item 05-4500)? Well Boyd Allen has come up with a clever use of a standard set of calipers that lets you set the cut length precisely within .001″. Just open the jaws of your caliper and put one jaw on the outboard end of the ring (with set screw) that holds the threaded length-adjusting rod. Set the other caliper jaw on the flat face at the end of the threaded rod that contacts the case rim. If you have a sample case set to the correct cut length, use that to set the position of the threaded rod. Then use your calipers to measure that length. This way you can repeat the cut length each time, or adjust the trimmed case precisely in .001″ increments. If you change from one cartridge to another, just use your calipers to re-set the desired cut length. Alternatively, ReedG notes you can use the inside caliper jaws and measure directly from the end of the threaded rod to the cutter face. That’s a bit trickier, but it measures actual trim length. Share the post "Precise Case Trimming without a Micrometer"
Our AccurateShooter Forum is a cornerstone of this website, attracting over 5,500 visitors per day, and generating nearly 700,000 page-views per month. For the past two years we offered the Forum in two formats–a standard format that fit within the same, general layout of the editorial pages, and a “full-screen” format that dispensed with the navigation buttons on left and top in the interest of providing more “real estate” for the readers. 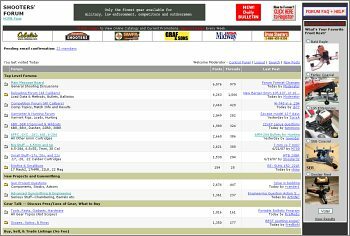 We found that, once users became familiar with the Forum they almost universally preferred to use the wide layout version of the forum. This reduced the need to scroll around, and it also allowed you to view large photos better. In light of this user preference, we have now officially switched over to an “all-wide, all the time” Forum format. In addition we’ve added some significant upgrades. A Forum FAQ + HELP section was added today. In addition, we have added a very powerful poll module. This allows us to run multiple, photo-illustrated surveys at the same time. The polls are set to randomly rotate each time the main forum page is refreshed. The ability to provide photos of products and allow users to voice their preferences should yield some fascinating results. At right (above) you see one of six polls actively running on the forum. Below is a screen shot of the new Forum displayed at nearly full extension on a 19″ monitor. As you can see, there’s lots of room. Hopefully readers will value this upgrade and the change will demonstrate that “bigger is better” when it comes to web pages. Share the post "SITE NEWS: Message Board Upgrades"
Yesterday, Michelle Gallagher of Berger announced that the 108-grainer had been selected as the design that will go into production. The 108s will start rolling off the bullet presses for general consumption very soon. 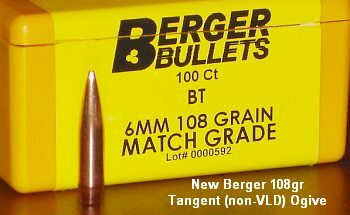 The specs on the 108gr Berger are: 1.225″ OAL, .712″ base to ogive, .533″ bearing surface length, and 108.08 grains average weight (Measured with Acculab MXX-123). 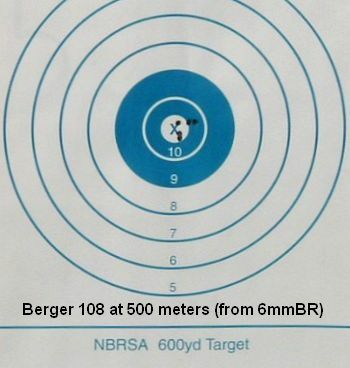 Share the post "Berger Selects 108gr 6mm for Production"
This summer, the NRA and major sponsor Beeman Precision, is sponsoring a series of matches for marksmen with disabilities. This 4-event series, the Beeman Grand Prix Air Gun Tour, commenced June 2nd in Palmyra, PA at the Appalachian Wheelchair Games. Three more matches are scheduled. On June 28-29, aptly named Nitro, WV will host the WV Wheelchair Shooting Championships. Three weeks later, on July 20-21, the Fresno Wheelchair Shooting Championship will be held in Fresno, CA. Lastly, the Glenda Horton Memorial Finals will take place August 21-25 at New Braunfels, TX. We wish all competitors good luck in these events, and applaud the NRA and Beeman for providing this competitive opportunity for disabled shooters. For more info, call NRA Disabled Shooting Services at (703) 267-1495. One great thing about the shooting sports is that disabled persons can not only participate, but, in many disciplines, they can compete on an equal basis with “normal” shooters, and even grab their share of trophies. We applaud all those with disabilities who enjoy the shooting sports–whether their interest be prone shooting, F-Class, air rifle, or bullseye pistol. At left is John Campbell, a Britisher who participated in the U.S. F-Class Championships earlier this year. 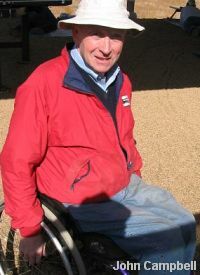 Though wheelchair bound, John remains an outstanding marksman who more than holds his own in tough international competition. 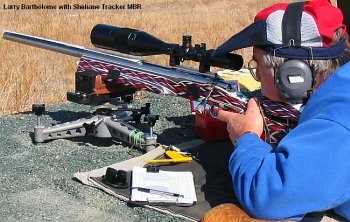 Share the post "Disabled Shooters to Compete in Air Gun Events"